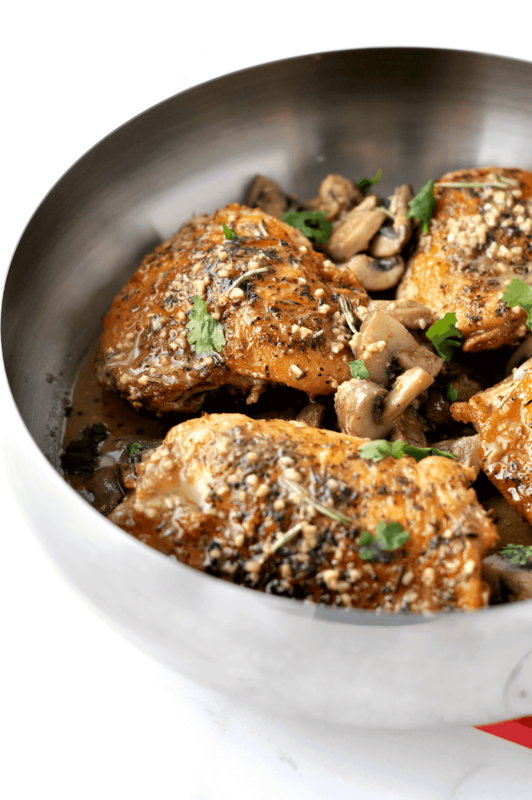 Chicken is really a very versatile ingredient when it comes to cooking. 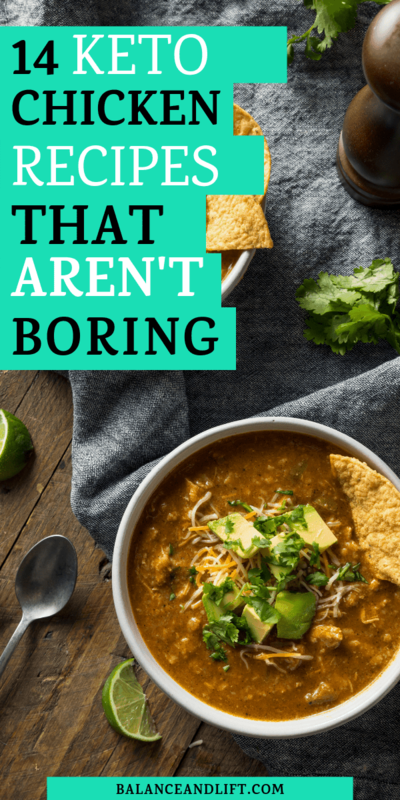 You can do so much with it so that you're not bored eating the same thing every night. 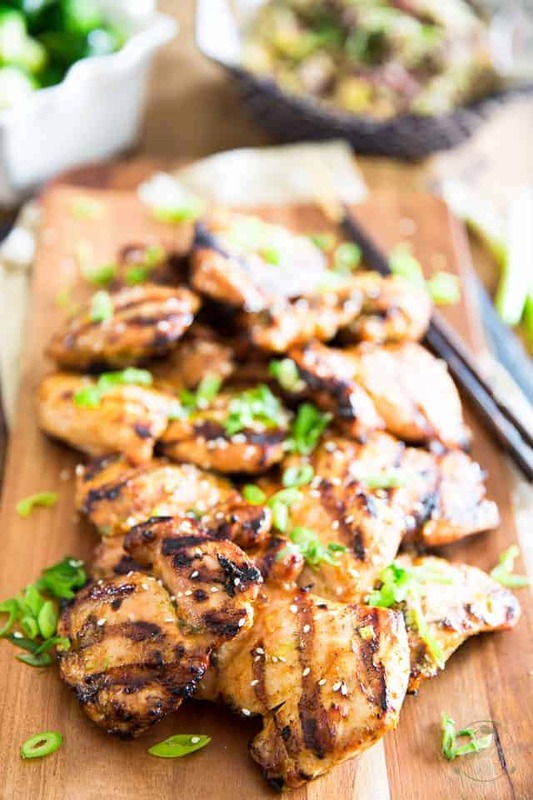 You can find so many different chicken keto recipes on Pinterest or by just searching “keto chicken recipes” on Google. There are so many blog posts out there and so many creative people. You don't even need to be a master chef to make these recipes either. 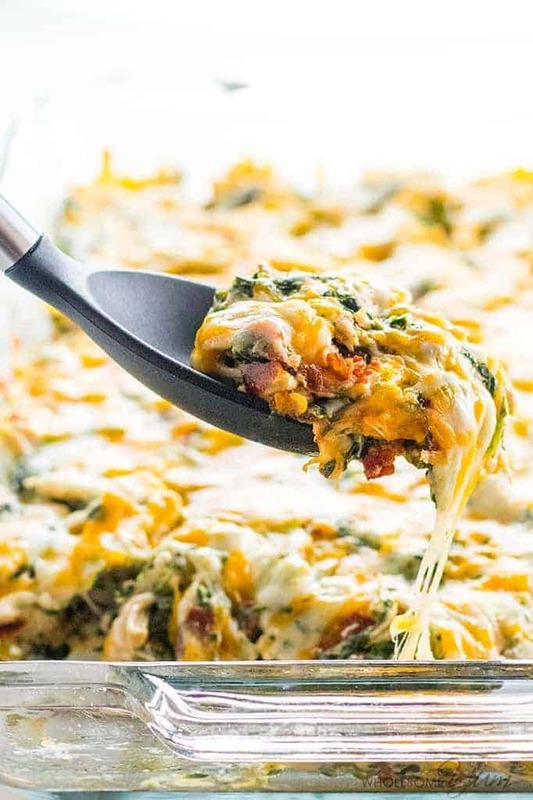 Check out 9 more Keto Dinners right here. What Should I Add to My Keto Shopping List? Well, since chicken is really cheap I think it's important to show off a variety of ways people can use chicken to make keto recipes. It can get really boring if you eat the same recipes night in and night out. So, I wanted to give some options. I definitely know that when you're first starting a keto diet it can be really difficult. If you give yourself too many options it will feel overwhelming. So, I think it's best if you choose a handful of meals that you can rotate through each month so that you have enough that you're not bored, but just enough that you're not overwhelmed. The next post I'll do will be on keto beef recipes and highlight a good many beef dishes prepared as keto recipes so that you can have a mix. There may be a pork post in the future too. And, possibly a keto shrimp post too. Mostly for frugality and showing that keto can be budget friendly. Well, aside from the keto food list post I have, I'll go ahead and list out some things you might want to buy at the grocery store to help you on your keto journey. This isn't the end all be all list of keto food items, so I just want you to be aware of that. There are many other keto items you can find and buy, but I want to keep things simple. When you're is just starting a keto diet keeping things simple is what will help you really fast track and get comfortable with the diet. I love roasting a chicken whole. You can get quite a few meals out of a whole chicken. On top of that, you can make your own homemade chicken broth. You don't need anything fancy either: chicken bones, onion, seasoning and maybe celery. Buying a whole chicken is also cheaper than buying the chicken in parts. With a good knife and a quick YouTube video, you can learn how to cut up a chicken to have different pieces for different meals. 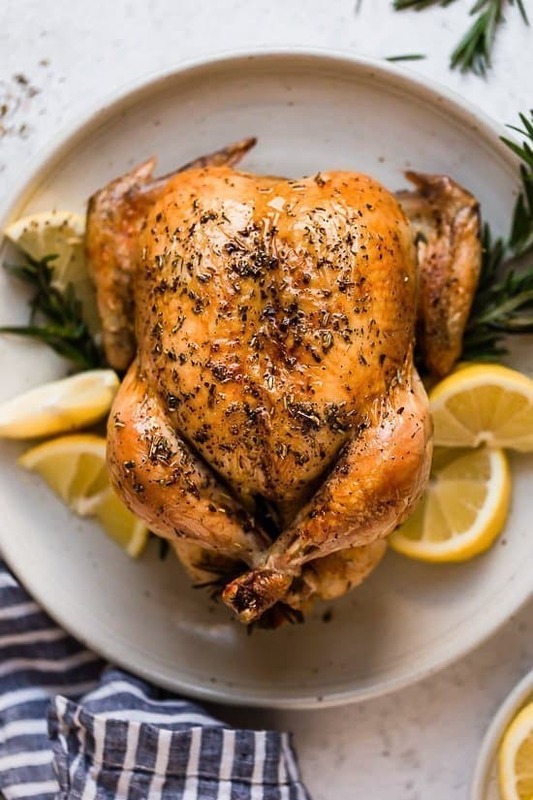 Check out how delicious this lemon and rosemary chicken is and why it should make its way onto your meal plan at least once a month. Chicken thighs are one of the most amazing things ever when you're eating a keto diet. 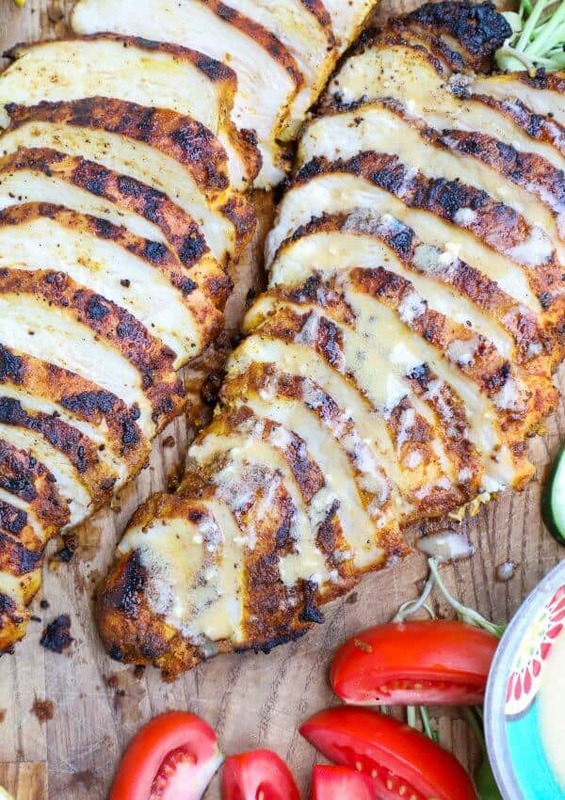 If you leave on the skin you'll naturally have a meal that's higher in fat over a meal that uses chicken breasts. This meal here uses some delicious herbs to create a meal that is filling and satisfying. If you're not feeding a bunch of people you can save some for lunch the next day. It keeps well in the fridge for UP TOO three days. I wouldn't go past that. 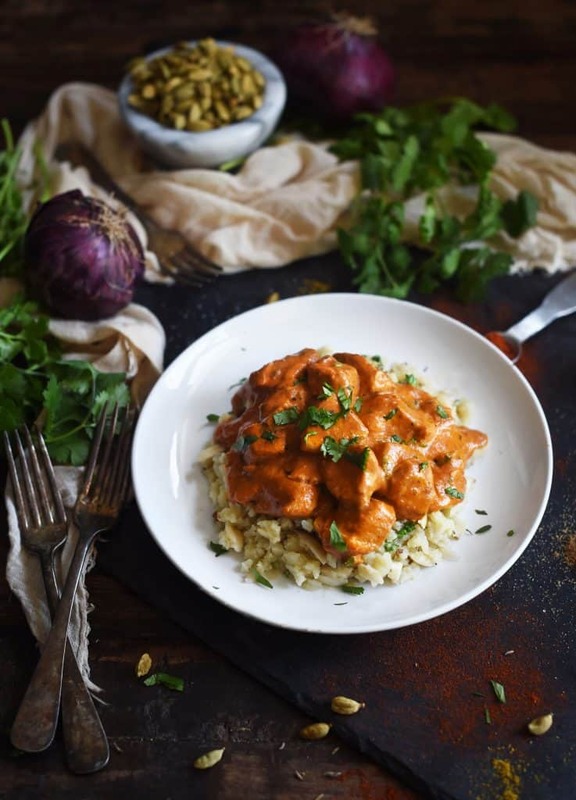 I loved butter chicken before going the keto route, and the fact that there is a low-carb version of it just makes my heart and tummy happy. It's super creamy and rich so you won't be hungry an hour later after eating this dish. Top it over some steamed cauliflower rice and add some asparagus on the side for a really amazing meal. Chicken Shawarma used to be one of the main things I would get at a Greek restaurant (along with hummus and pita). This recipe has some amazing flavor and pairs really well with a big salad topped with some parmesan cheese and olives. Remember to pack the salad and chicken separate if you're going to be saving some for later. 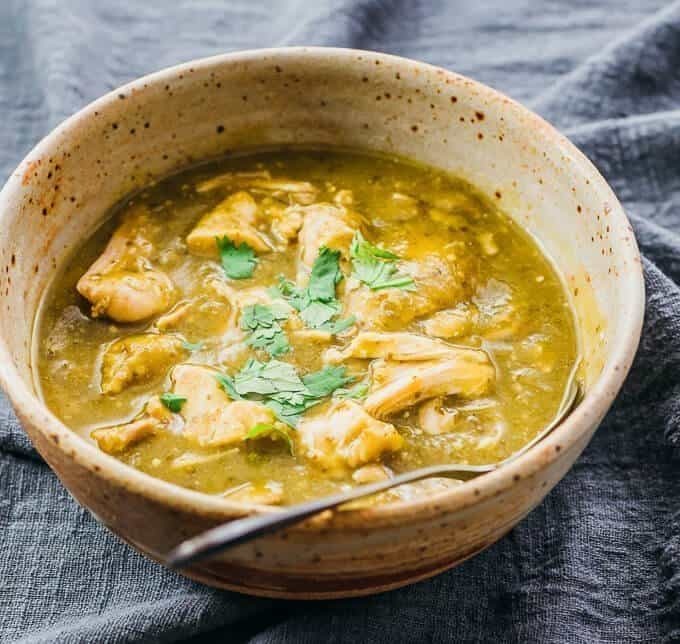 If you're a big fan of Mexican food then you'll be happy to know that there is no shortage of keto chicken recipes in the Mexican food category. 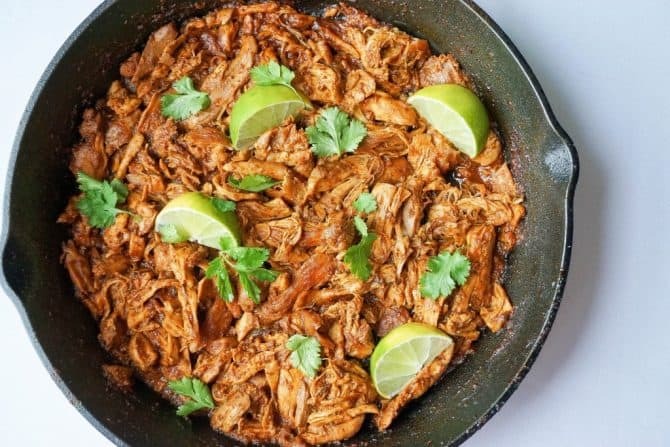 This Mexican Shredded Chicken is really amazing. 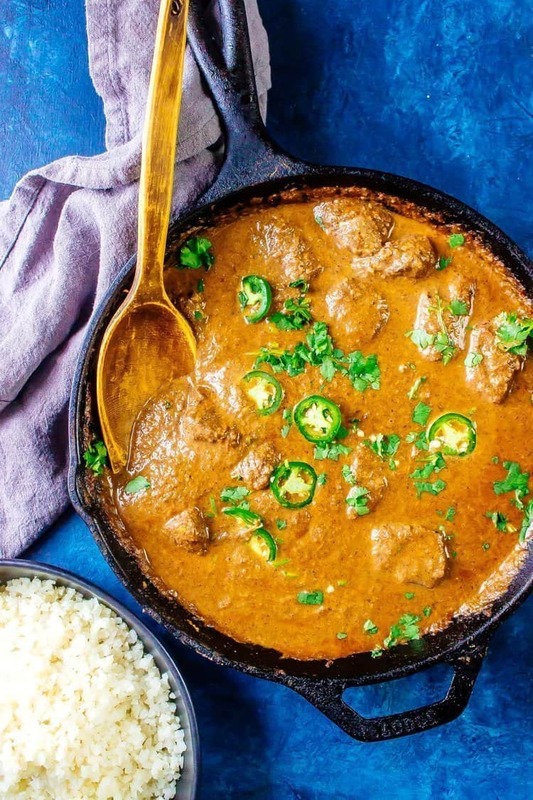 It would pair well with some yummy keto tortillas or even topped over some cauliflower rice. It's safe to say this is also #pickyeaterapproved by my son. He's very picky, but he really liked this. Have you ever bought a big box of fresh spinach and then panic when it gets close to going bad and you have half the box left? Yeah, I've been there. This dish is an amazing way to use that nearly bad spinach so that you can create a nutritional and delicious meal. It doesn't hurt that this is is a one-pan dish. It makes clean up super easy and stress-free. 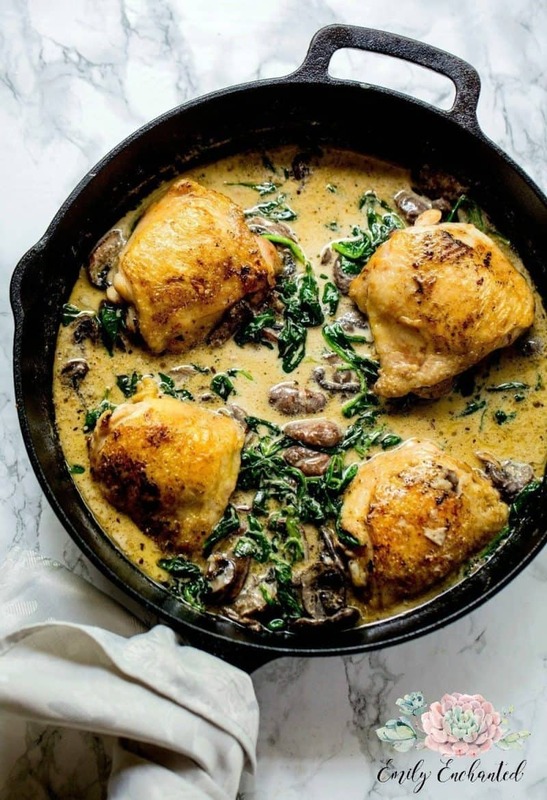 Here's another one-pan meal that is bound to make your weeknights easier to handle. 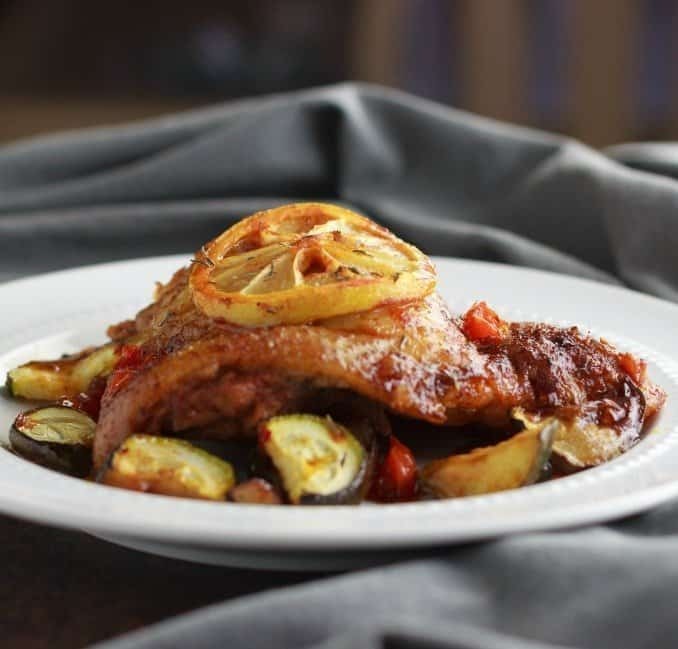 This Portuguese chicken is packed full of flavor and is amazing topped over some zucchini. If you have little ones, as I do, they might like the zucchini spiralized into noodles. Here's the spiralizer I use to make things fun. This dish is quite possibly one of my favorites. 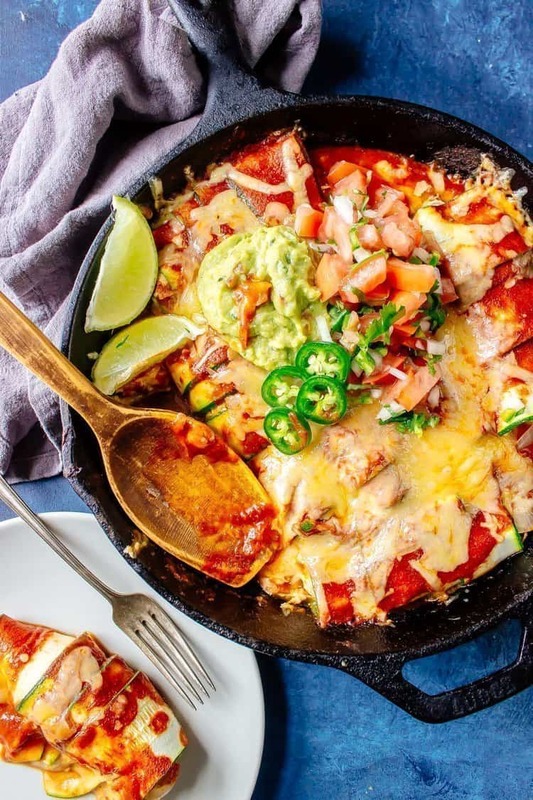 It's cheesy, it's Mexican inspired and it's delicious. Our kids love when I make this because I usually make some form of Mexican rice to go with it. I'll make a cauliflower rice version for myself unless I'm doing a carb-up. It's really simple to make and they're kind of fun to let the kids get involved with (obviously no slicing for them). Oh, man, these are so yummy. If you're not keen on using the Pure Maple Syrup in this recipe you can try Lakanto's Maple Syrup instead (find it here). Even if you do use the Pure Maple Syrup this recipe still clocks in under 10g of carbs for one serving. So, you're winning here. Pair it with some roasted cauliflower or broccoli and you'll have an amazing meal. This soup is great for a fall or winter evening. It's warming and delicious. 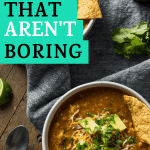 Make some keto tortillas, slice them into strips and lightly fry them to add as fried tortillas to this soup for that added crunch. And, if you want to get really fancy you can add some chopped cilantro and chopped guacamole to the top of it! This recipe uses regular corn tortillas, but that's an easy fix. 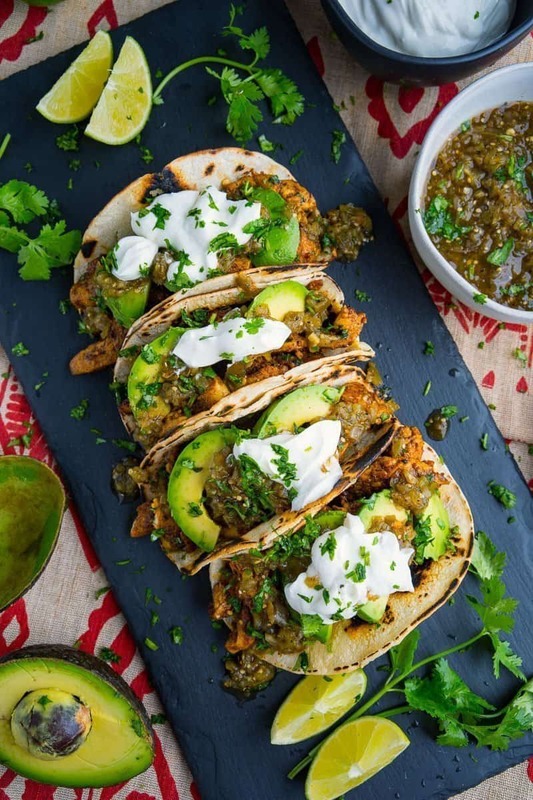 Swap it out for some low-carb tortillas and you'll be on track to a delicious dinner. Try these tortillas right here for some low-carb goodness. The salsa on this dish makes it taste so fresh and, if I'm not gonna lie, I could eat this every week and never get bored with it. 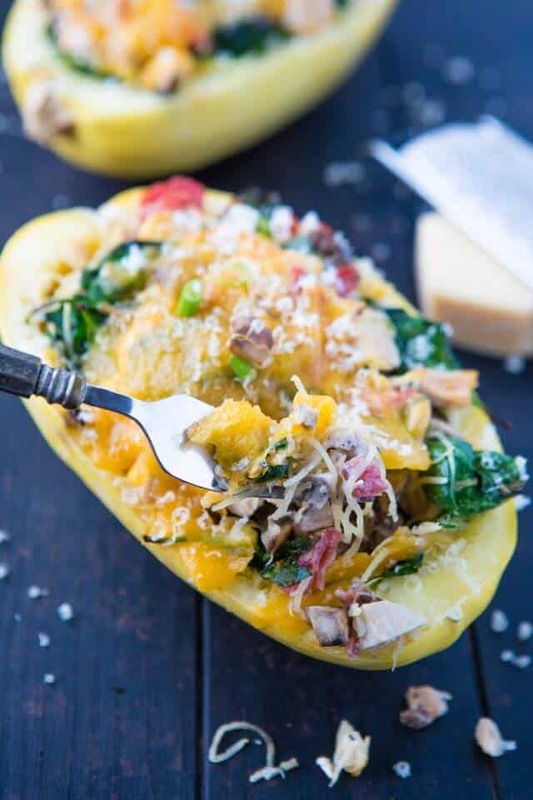 Spaghetti squash stuffed with anything is pretty amazing in my book. You don't need a bowl!!! If you want to be super lazy you can put the cooked spaghetti squash on some aluminum foil or some wax paper on a lined table and nix doing dishes. Talk about a win-win right? It doesn't hurt that this dish is seriously amazing and one that I will make at least once a month. Cheesy, lovely goodness in a glass dish! This is the stuff of cheesy dreams. The bacon seriously makes this dish. It adds a crunch that you didn't know you were missing in a casserole dish like this. Depending on how many people you're cooking for you may or may not have leftovers… it's that good. This meal is so delicious and you won't even miss the rice. Toss this stuff over some cauliflower rice and you won't even complain. It's super creamy and easily fills you up and doesn't leave you hungry afterward. Make extras and store the leftovers for lunch the next day. It's so good you'll want more.